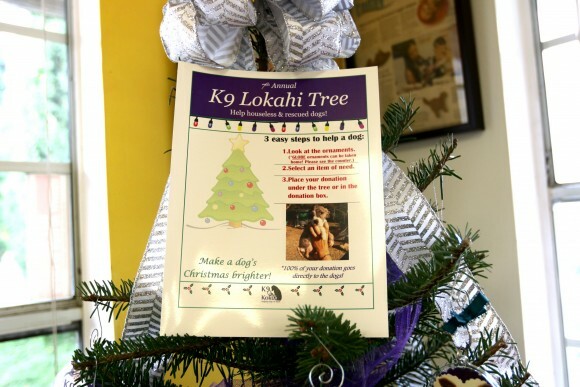 We are so honored to host one of K9 Kokua’s famous K9 Lokahi Trees again this year at Hawai`i Doggie Bakery! 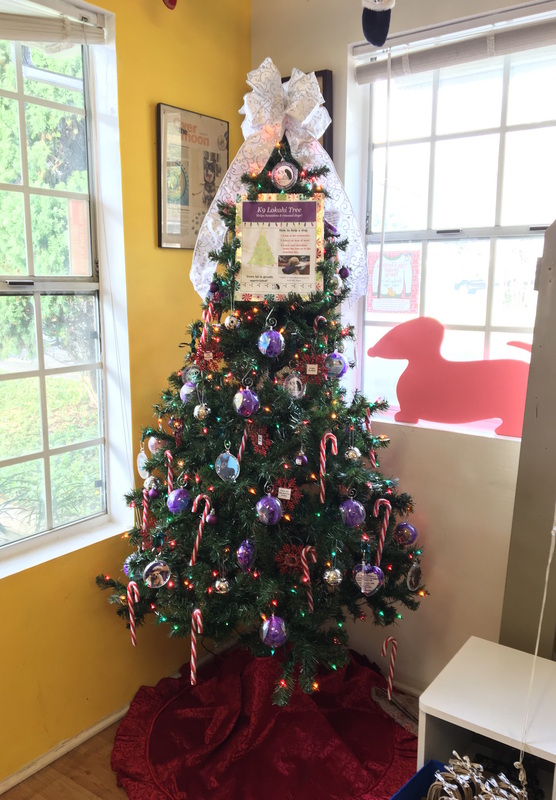 Our K9 Lokahi Tree has arrived at the shop and as usual, K9 Kokua has done such a lovely job in decorating it, and really bringing the holidays to the bakery! 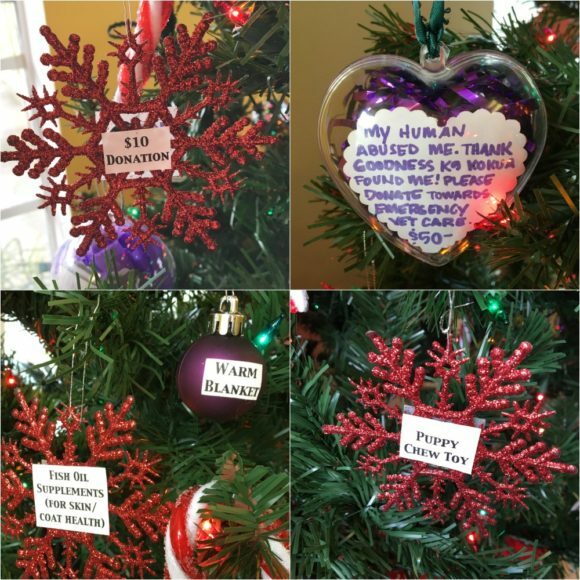 Like other Giving Trees or Lokahi Trees that you might see for humans, our K9 Lokahi Tree also serves a higher purpose: each of the ornaments holds a request for a houseless or rescued dog. 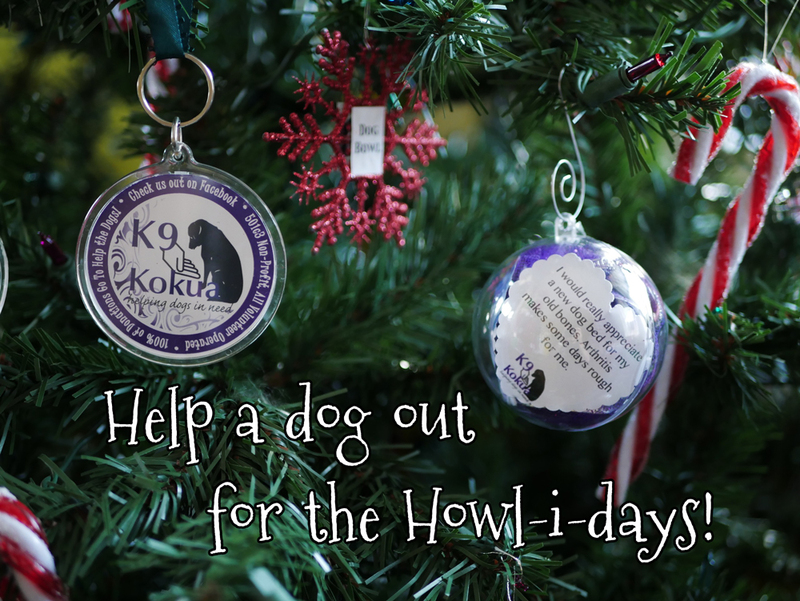 Some of the requests include food, toys beds and even monetary donations that go towards helping K9 Kokua with their mission. 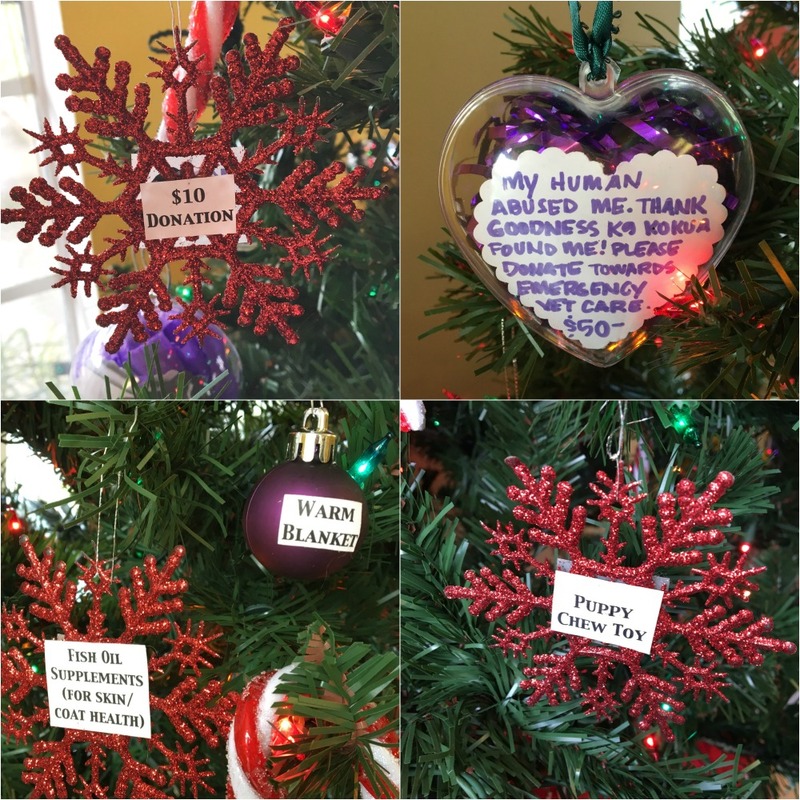 Come on in and help out today! Our Lokahi Tree is up now and will stay up for the rest of the year. 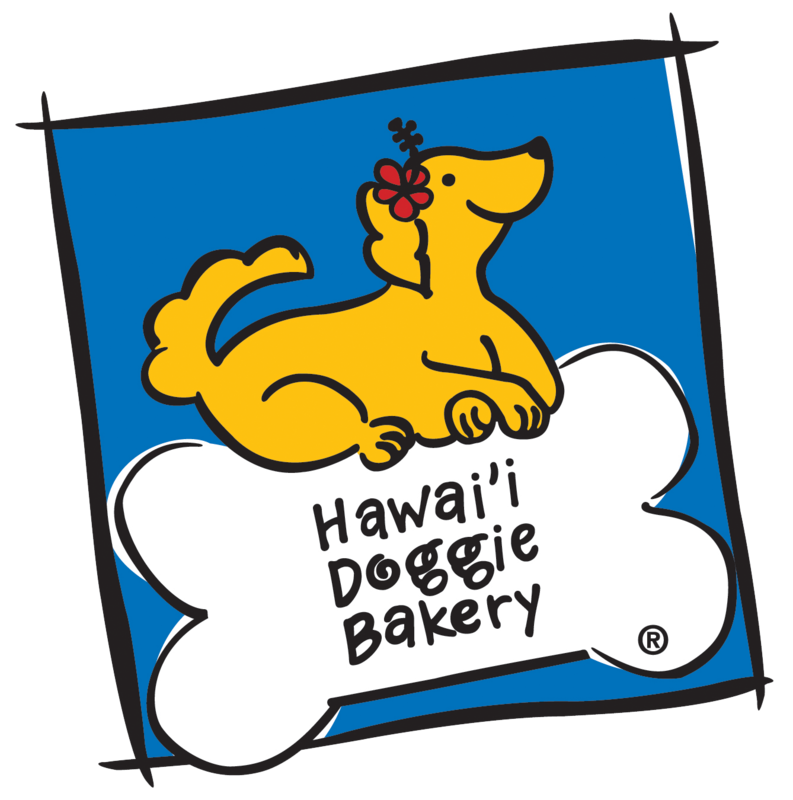 Paw-halo!